Building on the METTLER TOLEDO commitment to outstanding and long-lasting value, the Impact line is packed with features that make a difference. From the multi-interval load cell and state-of-the art user interface to the large label roll and hi-resolution label graphics, the Impact scales are designed to deliver unprecedented value. When paired with remote service tools such as Windataback, and our network of service professionals, the Impact scale line provides outstanding total cost of ownership. Impact will allow customer service associates to take care of your customers, rather than taking care of equipment. Let METTLER TOLEDO demonstrate how your organization can use this product to positively Impact the bottom line. Building on the METTLER TOLEDO commitment to outstanding and long-lasting value, the Impact Line is packed with features that make a difference. From the multi-interval load cell and state-of-the art user interface to the large label roll and hi-resolution label graphics, the Impact scales are designed to deliver unprecedented value. When paired with remote service tools such as Windataback, and our network of service professionals, the Impact Line provides outstanding total cost of ownership. Impact will allow customer service associates to take care of customers, rather than taking care of equipment. Let METTLER TOLEDO demonstrate how your organization can use this product to positively impact the bottom line. Share more information at the counter and drive sales with a large customer display capable of presenting images, frequent shopping prices, store brand promotions, and other information. 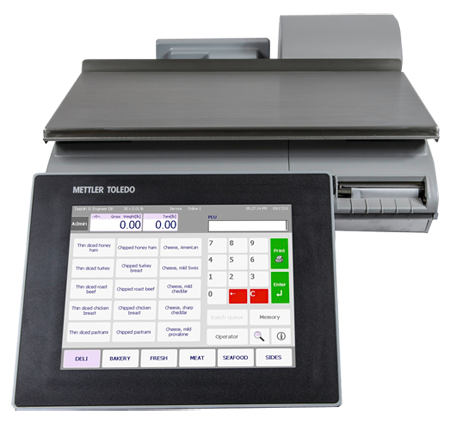 The modern, easy-to-use 10.4-inch color interface enhances staff productivity through easy access to thousands of preset PLUs, along with direct entry of PLUs for fast retrieval. The printer accepts a large 6” label roll, which leads to changing labels less often and allowing more time for customer service. The intuitive user interface also increases customer service time, while uptime is increased with remote services, which enables many service issues to be resolved remotely. Impact scales are very economical when it comes to power consumption. This certainly pays off and is also good for the environment. Strategies for more sustainability exemplified in a credible way - Impact scales make the decision easy.